Featuring brand new carpeting with main level living areas plus a cheerful naturally illuminated open layout kitchen with walk-in pantry, butchers's block and sliding door access to deck and fenced yard. Private master retreat with large walk-in closet and en suite bath. Bright, secondary bedrooms and super convenient upper level laundry room. Fantastic location, close to 104th and Colorado Blvd. 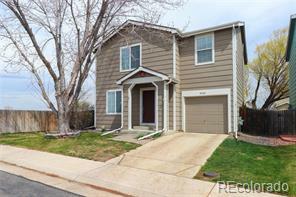 with easy access to I-76 and I-25! It's all here: parks, trails, markets, shops, and entertainment.